It’s a fairly obvious point, but we tend to like characters who make us laugh. And Jesse Pinkman is definitely one of them: either intentionally, as the sulking wisecracker, or accidentally, as the slapstuck fool. Like I came to you, begging to cook meth. “Oh, hey, nerdiest old white guy I know, you wanna cook some crystal?” Please. I’d ask my diaper-wearing granny but her wheelchair wouldn’t fit in the RV. Okay, he’s hardly professorial – but Pinkman’s no idiot either. He’s smart enough to be a smartass and, even in the first episode, he’s the one who suggests the idea of a mobile meth-lab. We like characters who are good at what they do and earn their destiny, rather than rely on luck. By making characters intelligent, we’re more likely to admire them, at least. Screenwriters seem to create their own moral universe, where each character’s goodness is judged relative to that of the others. Thus, a guy who’s rude to his Grandma could be the prime antagonist of a family sitcom, but less so in a slasher film. This technique (of Making the Bad Guys Badder, as Blake Snyder calls it) is intrinsic to the concept of Breaking Bad. Sure, we can say, Jesse might not be the model citizen, but he’s white bait compared to the loathsome individuals he shares the screen with. Even in the first episode, we have badder bad guys in the shape of Emilio and Krazy 8, who train dogs to rip men to bits in their spare time and seem to have no qualms about murdering two guys out in the desert. By comparison, Jesse is just a drug-dealing kid who finds the idea of dissolving bodies disturbing, let alone murder – and who is in the business for the money, rather than a personal enjoyment of it. There’ve been a few contradictions in this post. And I hope you picked up on some of them. It’s like this, I say, you can make a character likeable by giving him the qualities of a child – but also by making him intelligent and mentally developed. Likewise, people like characters who are good at what they do – but we also like characters we feel sympathy for. The question, “How do you make a character likeable” appears in pretty much every screenwriting textbook, but maybe this is the wrong question. Maybe what we should be asking is: how do we not? Joffrey Baratheon: Creating the Hate – if people like Jesse for his childlike naivety, then why is Prince Joffrey one of the most hated characters of all time? Ok, I admit, the only time I watch TV is when Sponge Bob is on…thus, I am not familiar with this show. But this character analysis reminds me of something. I just rewatched “The 400 Blows” which is the perfect example of a naughty character we all sympathize with (and rightfully so). So are we liking the character more for the fact we can identify with his naughty behavior..or is it that that character is living out what we wish we could do but dont? I like your writing. Cant wait to see what you may write about next. Good question! My initial feeling is that it’s the second one. I know there’s a Facebook group for people who like to talk like Jesse Pinkman, which suggests that they enjoy trying out his identity – like a kind of verbal fancy dress. I’m not sure it’s an important consideration though. I like both my dogs an awful lot, but I’m not sure I identify with them or experience the world through their eyes. They’re just cute things that need looking after, and I think there’s a lot of that in Jesse. You should definitely give Breaking Bad a watch. I don’t watch much TV either, but this show is mesmerisingly well-written. I’ve been thinking about your question a bit more lately and it brought something to mind. A lot of my friends (including me) enjoy pretending to be racist/sexist/stupid in a tongue-in-cheek, jokey sort of way. Obviously, we do not want to be any of those things, so it might be that juxtaposition is a key factor here. We enjoy identifying with characters who are not like us in any way, because there’s something comical about that mismatch of identities. Does anything matter except character complexity? Was there anyone whom the camera caressed ever with enough (hopefully original) complexity or conflict that we did not like to watch? Instead of trying to find the answer outwards, maybe the answer is inwards – we are voyeurs all, and the only thing that matters is INTEREST, meaning we’re learning something new about human nature? I think there’s a lot of truth to that, in that ‘banal’ is one of the worst things you can be in the world of film. I don’t think it’s the only thing that matters though. In fact, I think there are probably tonnes of parameters that we take into account when judging how much we like someone. I’d use Star Wars as an example here. Luke Skywalker is possibly the dullest character in film history – but we don’t hate him for it. Actually, you could argue that there’s something about his ‘blank canvas’ nature that makes it all the easier to just superimpose our own identities onto him, and put ourselves in his position. I think there’s an ambiguity to the word likeability that could cause confusion though. I’m talking about likeability in the sense where you support the character and want the best for him, not in the sense where you’d nominate him as one of your favourites. nal evil, which is at least more respectable in a character. Ah, I’m quite glad you said that. My next post is going to be on clever, planned, intentional evil. I’ll have to watch Game of Thrones sometime. It’s inevitable really. One thing I’m wondering though, does this Joffrey character seem ‘beyond repair’?Do you feel like there’s any promise of moral development where he’s concerned? I’m about 7 episodes into Game of Thrones, which got me thinking about your point. Two childlike characters I’ve realised I hate are David Brent from The Office and Tracey Jordan from 30 Rock. All of these guys are effectively children, but they all have a great deal of power too. So maybe it’s ‘unearned status’ that changes things there. We like characters who seem young and naive – but if they’re in a higher position than they deserve, we start to resent them for it. This is just an embellishment of what you’ve already said really, since we’re more likely to deem a clever character (like Gus Fring) as deserving of his position. Very interesting read. I’m obsessed with character analyzation, especially when I’m writing. Jesse Pinkman is such a complex character. 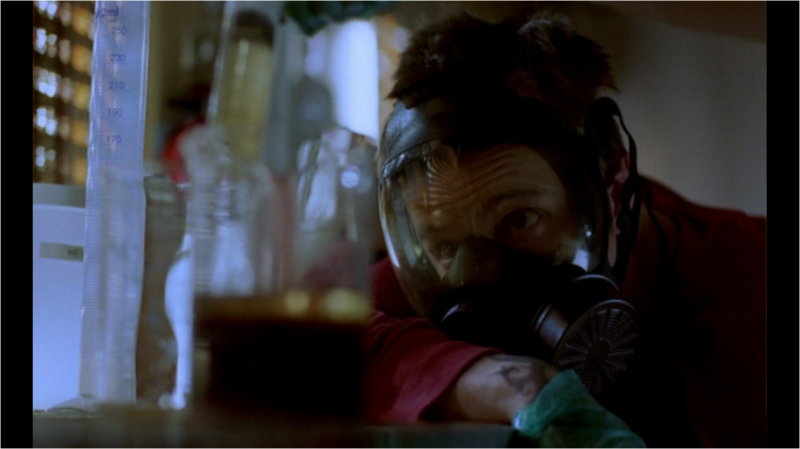 I’m always flabbergasted at my emotions toward him throughout the seasons of Breaking Bad. I freaking hate Jesse Pinkman with a passion. He always blames others for his own stupid decisions. I recall him being responsible for leading the RV to Hank and oddly he blames Walter for subsequently getting beat up by Hank when it was his fault. Eventually, Walt had to offer Jesse a job where he lost HALF his income as a result in order to placate him and prevent him from harming Hank. All ultimately because of a decision of Jesse’s. Thats just one example. Countless other stupid decisions like selling pot at addict meetings, participating and aiding in Jane’s plot to blackmail Walter, starting to sell meth again when Walter was justifiably on break without offering him a cut (AND stealing his formula) . Anytime even the slightest bit of depression hits him, he turns to meth. Either he is too stupid to realize that he needs to see a shrink and perhaps get medicated or he really doesn’t have a real neurochemical deficiency and he is just a wiener. I could go on and on. The fact that people like this spoiled, whiny brat says a lot about people. He always has a foul attitude, even at times against Gus, and everyone seems to go easy on him for it because they feel bad for him and probably assume he doesn’t know any better. People sympathize with all of this this because people deep down inside want to be selfish and immature in the very same way and Jesse acts out those dreams vicariously for them. Jesse is someone that inherited so much coming from his family and became a self-made loser because of his own poor decisions and probably genetic framework too. If that is what people like, then that is just a travesty. Well, that strikes me as being a bit unfair. Firstly, I don’t think Jesse is a selfish character. If you recall Season 4, he basically keeps Walter alive for most of the time (Gus can’t kill Walter because he knows that, if he does, Jesse will refuse to work for him.) I know he’s the one that gets Walter into the trouble in the first place (trying to kill the drug dealers that Gus employs) – but he does so out of a desire to get revenge for the child they killed. A selfish man would simply turn a blind eye to their behaviour, as, you could argue, Gus does. Secondly, you can like a character without wanting to be that character. I really like Tobias Funke and Murray from Flight of the Conchords – but that’s mainly because they make me laugh. I certainly don’t want to embody them. Also, films seem to appeal to a more emotional, primal part of our psyche than reality does. I don’t agree with the death penalty – however, if, at the end of Gladiator, Commodus gets put on trial and jailed, I’m gonna be a bit disappointed. I think there’s a degree of cooperation as well. I know Jesse’s virtually a protagonist, so I ‘just go with it’ so that the programme works. That’s not to say that I like JP unconditionally either though. I’m with you on the “harming Hank” monologue; I really take a dislike to him there. I’d say Season 3 is Jesse’s lowest point, morally. He gets it in his head that he needs to “accept” who he is, and that who he is is “the bad guy.” The fact that he comes to this conclusion shows that underneath this facade of composure he’s really extremely self-loathing: feeling guilty about Jane, and additionally feeling almost entirely responsible for the whole Wayfarer air disaster at the end of season 2. And sure enough, the “I’ve gotta accept” mantra doesn’t last. What he learns over the course of seasons 3 and 4 is that he really *isn’t* capable of playing the part of a true malicious “bad guy”: his plan to sell drugs at the NA meetings (probably his all-time *worst* decision) backfires spectacularly after his friends cop out and he meets Andrea and finds out she has a young kid, and in the end he doesn’t end up selling anything. His monologue in the episode Problem Dog is extremely telling. By that point he’s become a murderer and it’s been eating him up inside, and he *wants* to get some kind of karmic punishment. He wants the universe to tell him that what he did was wrong, or else “What’s it all mean?! What’s the POINT?”. Contrast this with Walter, who endlessly justifies his actions in order to brush off the guilt and the consequences. Jesse, other the other hand, can’t make himself not care. He knows he’s not a good person and he’s done terrible things and hurt people and he feels painfully guilty. As for falling back on meth, well, for one it’s readily available to him, since he cooks it for a job, and second, even if he’s not cripplingly addicted (which it seems he almost is by the end of season 2), substance abuse has become his coping mechanism of choice, and habits are hard to break. It happens in real life. A lot. As does the scenario where a kid slips through the cracks in school, doesn’t get engaged, gets pressured by parents or teachers or whoever but doesn’t really feel motivated, and winds up drifting through life on autopilot, hanging out with the wrong crowd. I don’t even think the show paints him as a “poor victim of society” in that regard…it just is what it is. And in terms of what makes him interesting as a character, it hardly scratches the surface. Lastly – I certainly wouldn’t say Jesse “always” has a foul attitude. We usually see him stuck in crappy situations, because that makes compelling drama, but despite that he has his moments of levity. In early season 2, for example, he’s positively stoked to hear that Walt’s cancer has gone into remission. Hell, in the pilot he enthusiastically compliments the quality of Walt’s product, despite being at first sullen and skeptical. (“You’re a goddamn artist!”) In general he connects well with kids. When he and Jane were dating he was attentive, flirty, and even occasionally romantic. And later with Andrea and Brock he genuinely enjoys spending quality time with them, going out to eat or playing video games. He’s not a one-note whiny brat, even though that sometimes seems like his default setting around Walt, who reinforces that behavior by yelling at or just generally demeaning him in most of their interactions. What’s best, though, is that Jesse has a legitimately well-crafted character arc throughout the overall series. By season 5 he’s matured leaps and bounds and gained a sense of perspective – enough to want to end the whole operation by selling out for $5 million, which, as he fairly points out to Walt, is *not* insignificant. And when Walt furiously tells him that if he leaves, “You’ll get nothing! You hear me?! NOTHING!! !”, he *still* puts his foot down and has the resolve to walk away. He sure as hell ain’t perfect, but if he was he wouldn’t be half as interesting. And he certainly wouldn’t be in *this* show, which is all about tarnished souls and moral grays and the murky lines between selflessness and self-delusion. Based on the Breaking Bad I’ve watched, Jesse definitely qualifies as a riveting and compelling character; maybe even one to root for. Great, great comment. It had never occurred to me that the self-help guy was actually the one who was inspiring Jesse’s moral decline in Season 3. Now explain why we hate Skyler. She was an innocent victim of Walt’s crimes, whom he ultimately corrupted. She was a devoted wife and mother, who was betrayed, lied to, and ultimately made into a criminal. But everyone hates HER more than the murdering, lowlife drug dealers. And we like her better when she starts laundering money and orders the thugs to strong-arm Ted. Breaking Bad wasn’t amoral or nihilistic; I found it to be one of the most moral TV shows in recent times. It was a brilliant study of how pride and ambition can destroy an otherwise decent guy, and how actions have consequences. So, why the contempt for Skyler when she is trying to do right?